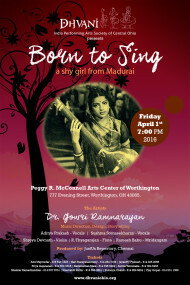 The inaugural concert at the 30th Cleveland Aradhana was a trendsetter. 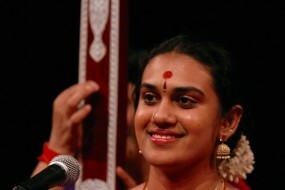 Called “Sustaining Sampradayam”, it featured a full concert by a group of 28 boys and girls brought up in North America. The children were trained for this concert by several well-known Carnatic music vidwans from India, without face-to-face contact, using the Internet. 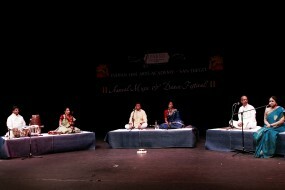 The students included about twenty vocalists, instruments making up the rest of the ensemble with venu, veena, violin and mridanga. These youngsters came from great distances across the United States – from California to New Jersey and from Texas to Michigan. The idea was conceived by the organisers of the festival (read V.V. Sundaram) and announced in October 2006. There was much scepticism and many expressed doubts about the outcome. The more cynical perception was to view this as a mere fundraising gimmick at the expense of good music. But the Cleveland Aradhana Committee, the vidwans who took up the task of preparing the students and the students themselves proved them all to be mistaken. 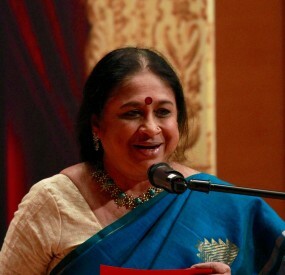 Selected students had trained for this concert over the Internet to sing specific kriti-s with several vidwans located in India for a period of a few weeks. The efforts and the training were painstaking. According to one of the teachers who spoke to us, each teacher would teach one student a song. The lesson would be recorded and transmitted along with notation to all the others so they could learn each song in that particular style— a somewhat Ekalavyan concept. Thus did Seetha Rajan teach the varnam and P.S. Narayanaswamy the Dikshitar kriti. 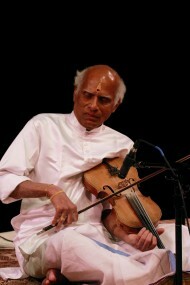 Srimushnam Raja Rao even recorded himself accompanying each song, and his students used the recording as an aid to practice. Every vidwan and every student had laboured long and hard to be able to create the evidence of effortless performance on the day of the programme. Even selecting the sruti was not easy. 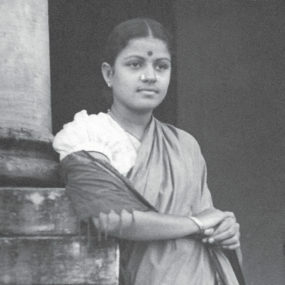 Alapana and swaram-s had to be “practised” to some extent to allow for seamless transitions, as each singer or instrumentalist would pick up where the other left off. The effect for the audience was quite extraordinary as a Bhairavi was started by a lower voice and handed over before being picked up by a violin and then a flute and so on. Each transition seemed natural and unrehearsed.